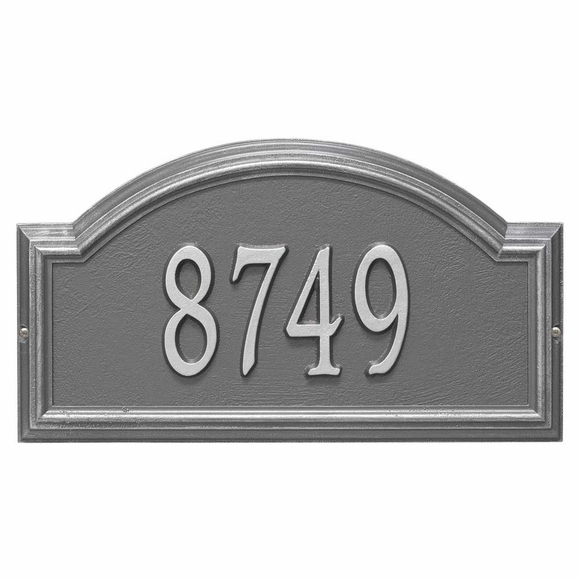 Providence Arch Address Plaque Pewter with Silver Numbers - - personalized address sign includes your address number. Made in USA. Wall mount house sign. Pewter finish. Providence Arch Address Plaque Pewter porch address sign. Custom made with your address number. Made in USA.